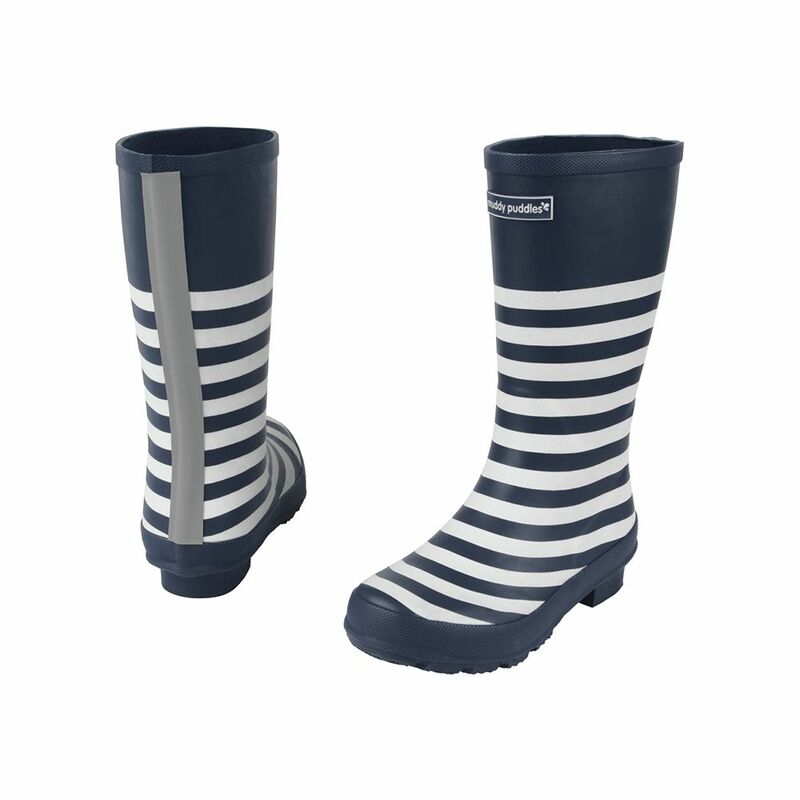 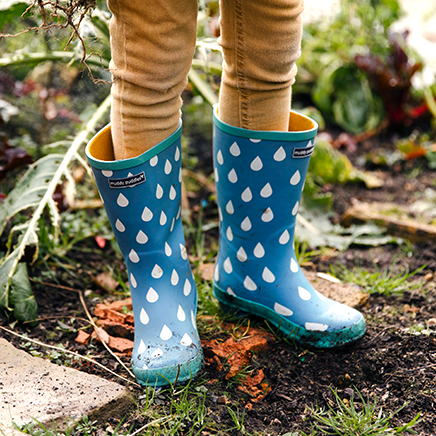 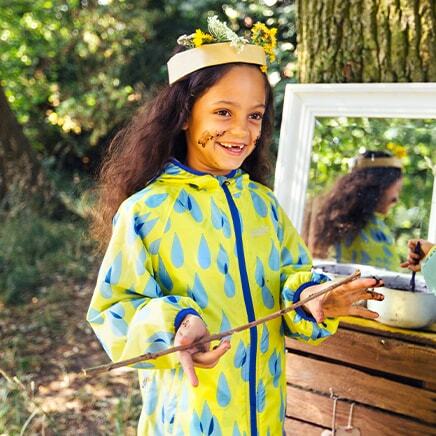 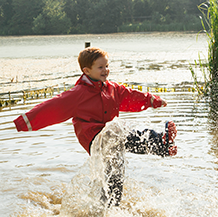 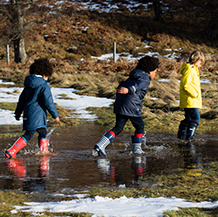 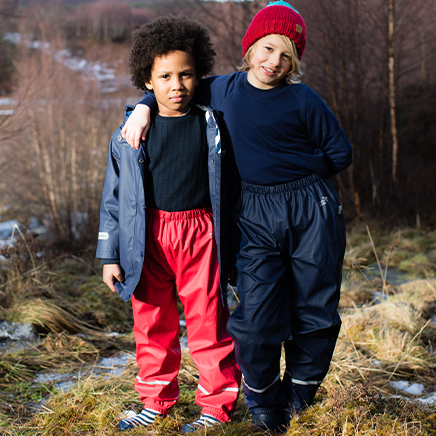 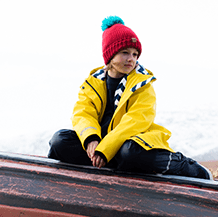 Our new Puddlestomper wellies are designed to keep children's feet dry and clean whatever the weather. 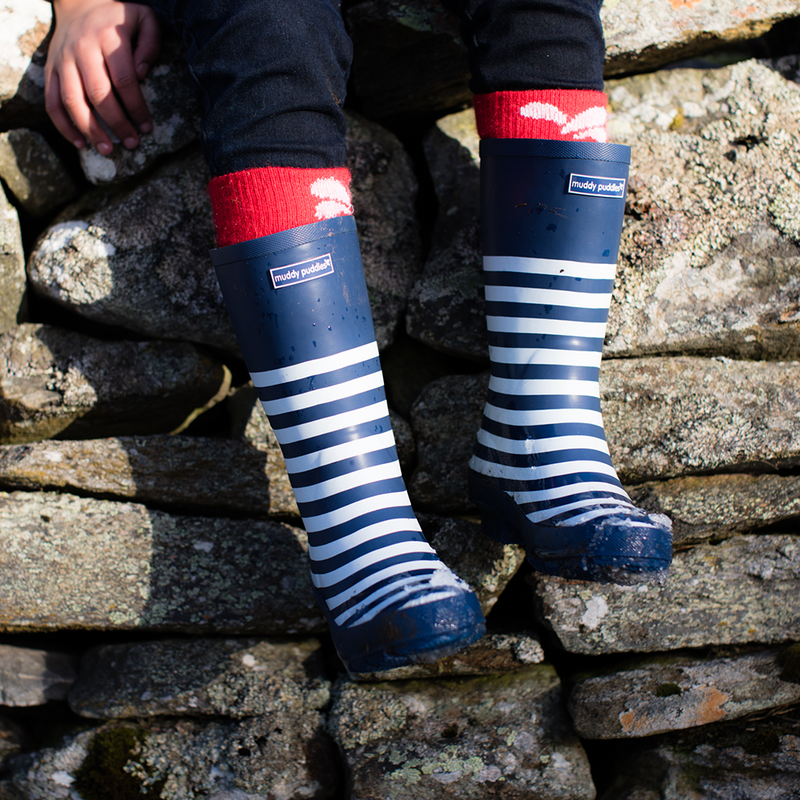 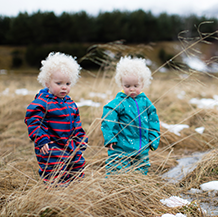 Our wellies are super functional and made to last. 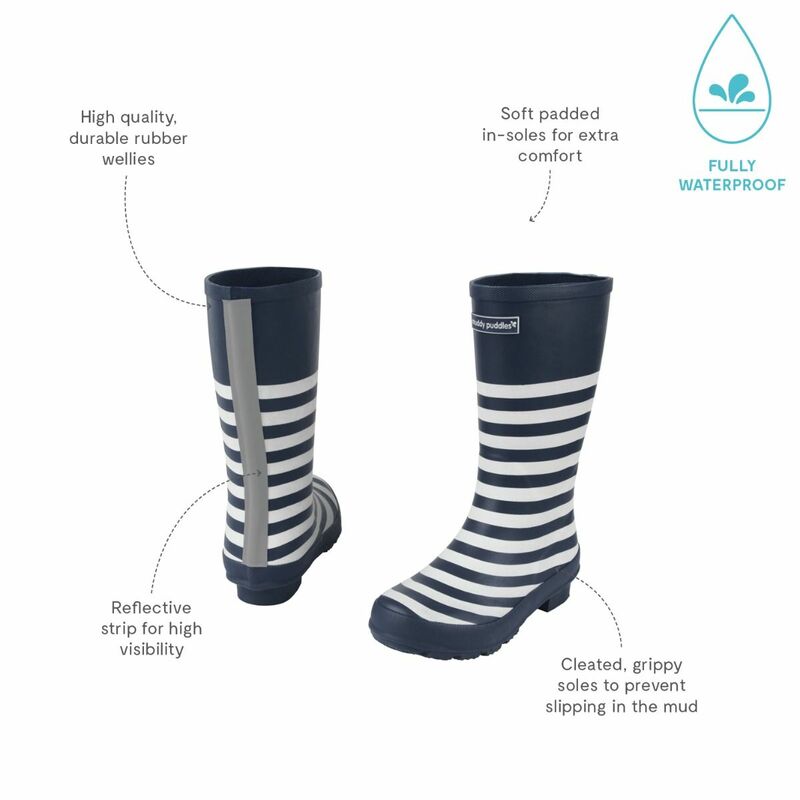 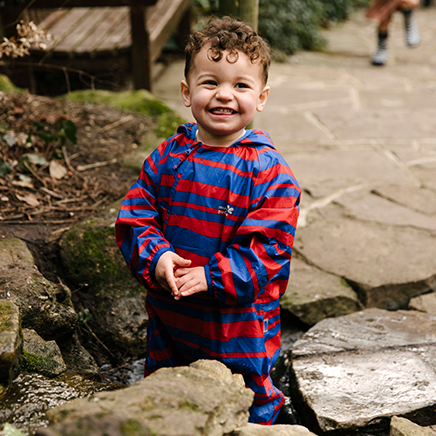 The leg height is high enough to keep legs dry when they're splashing in puddles and the practical grippy soles prevent slipping in the mud. They also have a reflective strip at the back for extra visibility and safety.